There are a whole lot of American resort-goers that show up in Puerto Rico expecting tacos and burritos. But Puerto Rico isn’t Mexico (can we get #notallspanishspeakingdestinationswithbeautifulbeachesaremexico trending?) and if you’re headed to PR’s shores, you should know what to order for your first meal on the Caribbean island. And, all-inclusive resorts aside, you probably want to know what to eat for the rest of your time there, too. Puerto Rican food is fascinating because it has centuries of fusion layered into the flavors. That means there are hundreds of years of different influences and history in every dish, starting with the indigenous traditions of the Taíno people using native plants before colonialism radically changed the island’s cuisine. Puerto Rico was a major stop on trading routes from Europe to the Americas, bringing spices, coffee and sugar between the continents — and slaves to work on the plantations, meaning African traditions were also (forcibly) brought to the island. Puerto Rico was ruled by the Spanish until the late 1800s (just decades after when slavery was abolished in the United States) when it became a United States territory. All that oppressive colonial history means Puerto Rican food has echoes of Spanish, French, African and Latin cuisines. In Puerto Rico, you’ll hear the local food called “cocina criolla” and you’ll see “criolla” listed on a lot of menus — even the ones translated into English for tourists. Criolla indicates Creole cooking; you’re going to see a lot of sofrito (a sauce made from tomatoes, peppers, cilantro, onions and garlic) and adobo (a spice mixture using salt, pepper, oregano, garlic, onion and turmeric). Although there are some taste similarities and they share the Creole label, cocina criolla isn’t the same famed Louisiana cooking style from the bayou. 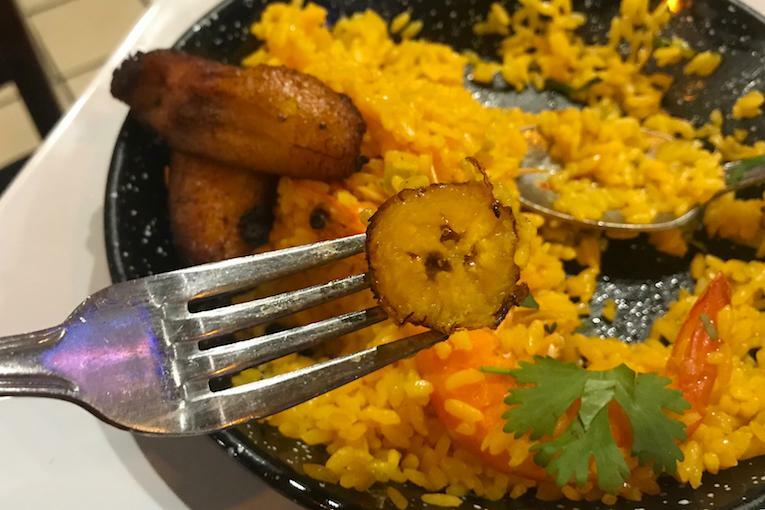 It’s unique, using ingredients such as plantains, rice, beans and seafood in ways we don’t see enough of on the mainland states. 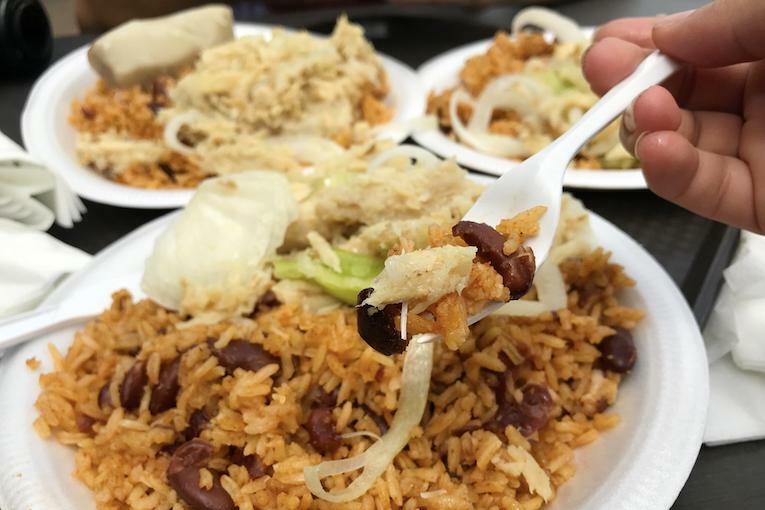 The unofficial national dish of Puerto Rico is arroz con gandules. It’s rice, pigeon peas and ham, cooked with sofrito. There’s a reason this simple dish is a classic: It’s absolutely delicious. 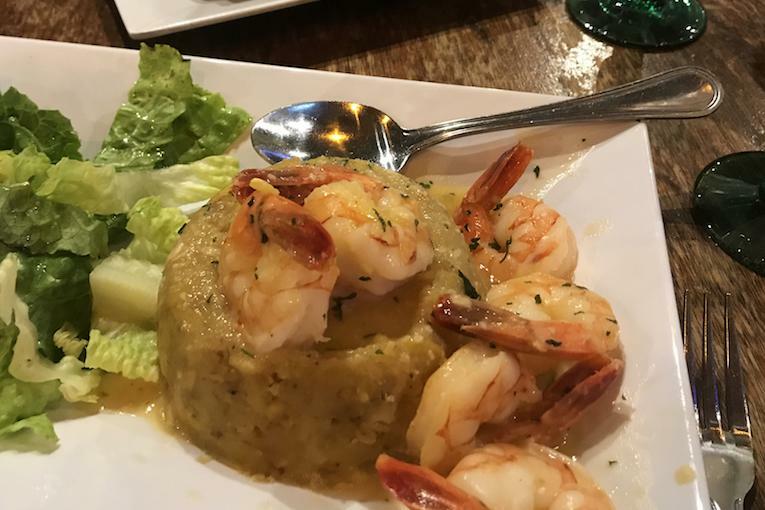 In a perfect world, you’d order mofongo with some arroz can gandules (mofongo usually comes with an accompanying side dish). But we get it if some tasty fried menu items are calling to you, too. Puerto Rico offers endless fried deliciousness. Between street food, appetizers and comfort food snacks, there’s always going to be something fried to golden brown perfection on your plate. 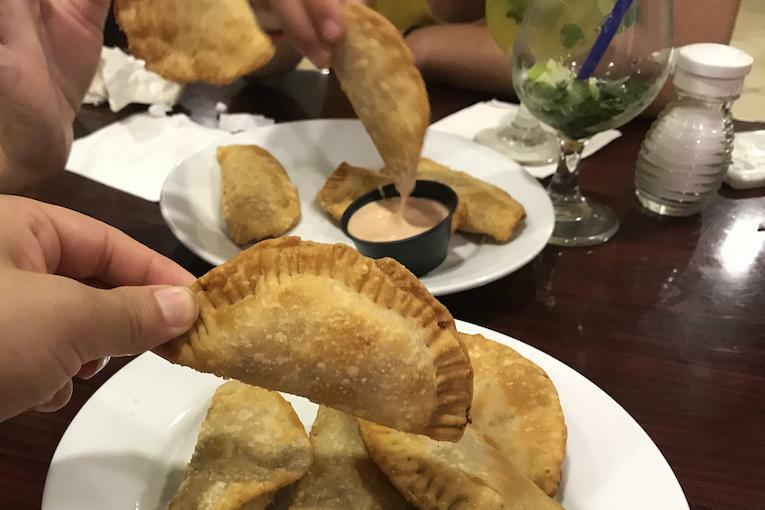 The most popular recipe is something you’ll see across the Caribbean and Latin America: various pockets of fried dough filled with meat, veggies or cheese. We’re partial to empanadillas, fried turnovers (also called empanadas or pastelillos). But you can’t miss the arepas, even if you’ve already eaten four empanadillas. 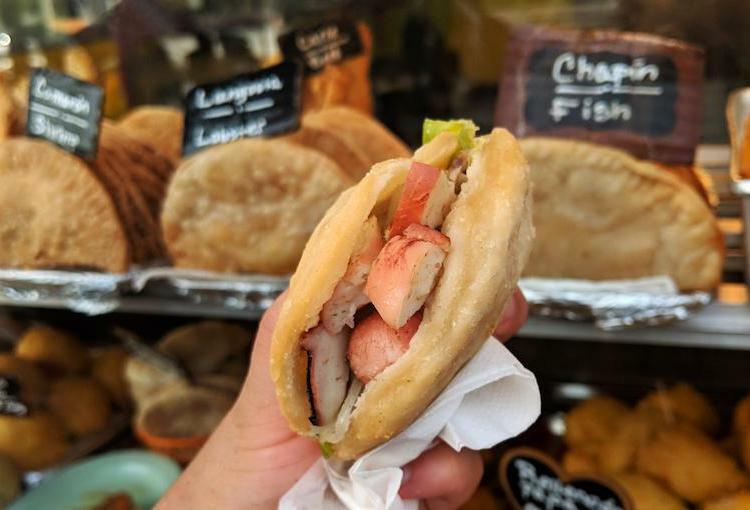 Arepas are an indigenous dish dating back to the days before Christopher Colombus’ ships hit the region. They’re a simple, unleavened bread made from corn and can be baked, grilled or fried. Not to knock the plain bread arepas, but you want arepas rellenos. They’re the filled sandwich type. And since you’re in the Caribbean, we’d suggest filling yours with seafood. You want to look for mariscos (seafood), camarones (shrimp), langosta (lobster) or cangrejo (crab) on menus written in Spanish. Searching for a side dish? Mofongo isn’t the only way Puerto Rican chefs use plantains. 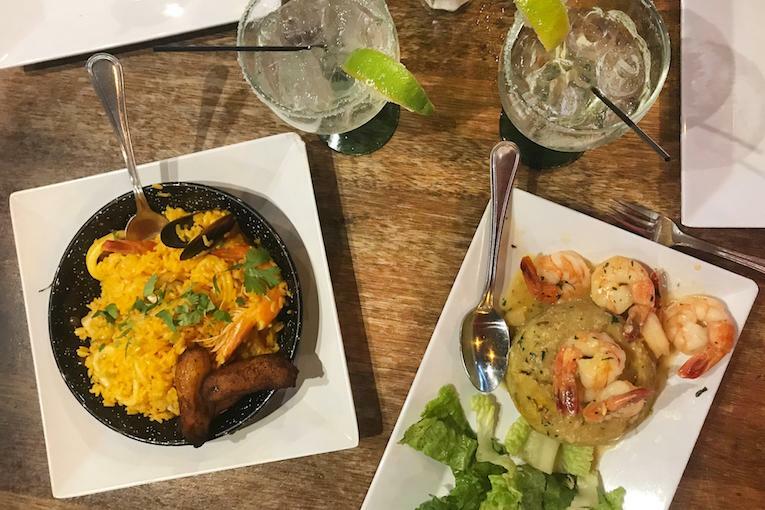 Just like mashed potatoes and French fries suit two different moods, so do mofongo and tostones. Tostones are slices of starchy plantains, fried twice to ensure an indulgent two bites of crispy fruit. 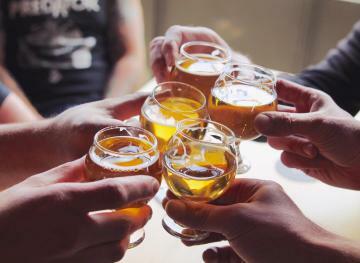 Rum is the name of the game in Puerto Rico. The island is home to both the Bacardi factory and many small-batch rum producers. In fact, most of the rum sold in the U.S. comes from Puerto Rico. So since you’re probably already drinking Puerto Rican rum, you might as well do it on the island. In other words, it’s mojito time! The minty cocktails are everywhere, from low-brow street food stall concoctions served in plastic jugs to ritzy rooftop bars’ fancy glasses. But maybe a piña colada is more your game. In that case, you can grab a coconut filled with the good stuff or head to Barrachina in Old San Juan, the restaurant claiming the original piña colada recipe. There’s also Medalla, the ubiquitous beer of Puerto Rico. 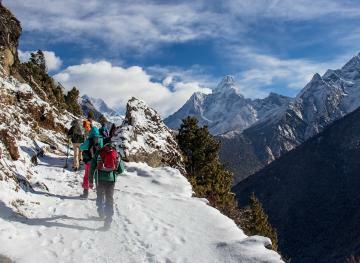 You’ll see signs posted for it just about everywhere. We’ll be honest — we’d skip this brew and stick to a basic beachy Corona. If you want affordable and yummy seafood in San Juan, you’re eating at La Cueva del Mar. 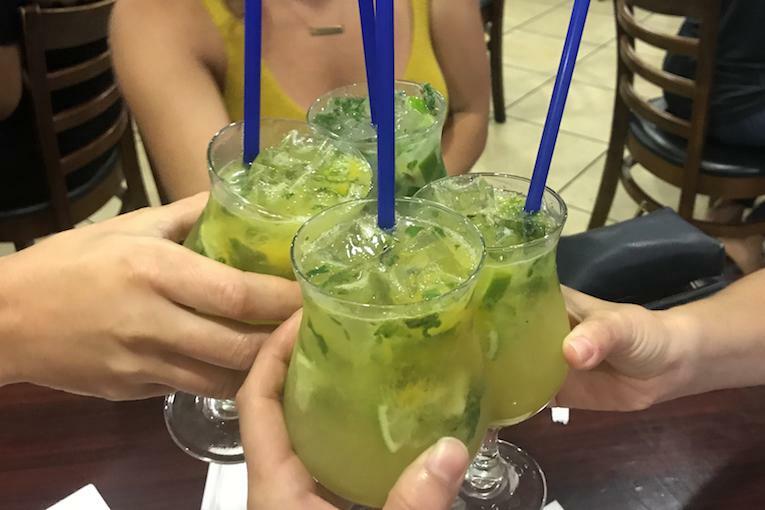 There are a couple locations of this locally-loved restaurant, but we’d suggest the Santurce spot over the one in Old San Juan. You’ll get a more low-key crowd in Santurce instead of hordes of tourists stumbling in off of the cruise boats that dock near the Old San Juan restaurant. Make sure to try the arroz con mariscos (rice with seafood) with sweet plantains. It’s like Spanish paella, but with slightly different seasoning. You’ll get bites of fish, shrimp, squid and delicate rice. And the surprisingly tangy plantains complement the savory dish perfectly. For those staying in the Condado neighborhood of San Juan, your best bet for affordable local food is Bebos Cafe. Our favorite order starts with a plate of guava and cheese empanadillas (so good). For your main dish, try the steak-sized stuffed avocado with chicken and garlic sauce. Fancy a splurge? Your dinner spot is Jose Enrique. Known as the best restaurant in San Juan, the famous chef’s eatery is housed in a bright pink building near La Placita de Santurce. You’ll want to dine at Jose Enrique and then dance off your meal at La Placita’s collection of bars.